This weekend, fitting the holiday time perfectly, the FIA Formula 3 European Championship teams and drivers travel to the Dutch North Sea coast. But it’s no holiday trip for them. Instead, they will battle it out for points and race wins in the 10th, 11th and 12th race of the season. 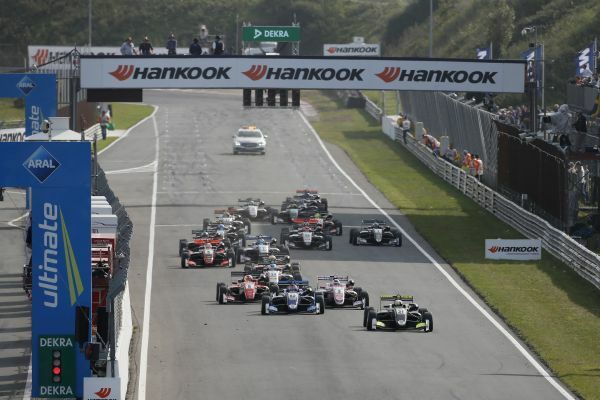 The races will be staged by the 4.307-kilometre Circuit Zandvoort that is embedded into the dunes and located just a stone’s throw away from the beach. Rookie Marcus Armstrong (PREMA Theodore Racing), a Kiwi racing with an Italian license, will be the hunted at Zandvoort. The protégé of the Ferrari Formula One team travels to the Netherlands as championship leader but his first chaser, Daniel Ticktum (Motopark), follows just one point behind and has got just one point less on his tally. Third position currently is held by rookie Enaam Ahmed (Hitech Bullfrog GP), another proof of the competitiveness of this year’s rookies. With Armstrong and Ahmed, two of the drivers holding top-three positions are contesting their rookie season. And the rookie fraction even will grow, from the Zandvoort weekend: Sophia Flörsch (Van Amersfoort Racing) will make her debut on the FIA Formula 3 European Championship grid. The 17 year old girl from Munich is the first woman in the field since Colombia’s Tatiana Calderón who raced in the series from 2013 to 2015 and scored a total of 29 points. Flörsch represents the colours of Van Amersfoort Racing, the sole Dutch team in the series that secured its first podium in the 2018 FIA F3 European Championship season in late June at the Norisring. For the driver who gave the team this podium, Keyvan Soori Andres, it was the biggest success in his FIA Formula 3 European Championship career to date and it goes without saying that he would love to repeat this result in the home races of his team. Keyvan Soori Andres (Van Amersfoort Racing): “Zandvoort is a cool circuit and I love to race there. The circuit has got uphill and downhill sections and features different kinds of corners. The second sector is particularly demanding. I travel to Zandvoort with boosted confidence as I scored my first points and even secured my first podium, in the previous race meeting in Nuremberg.